StayOnSearch was created back in 2008 by Mark Thompson, a full-time Internet Marketer who had a strong passion for the industry. Each day he would manage client IM campaigns and help drive traffic and revenue to a wide range of businesses and organizations. Mark thought it would be beneficial to create a resource and way to give other Internet Marketers the ability to learn from the strategies and tips he acquired on a daily basis. This is how StayOnSearch came to be. 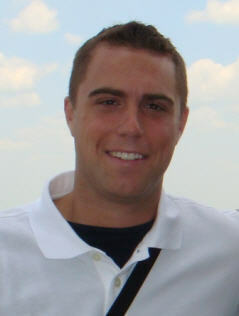 From 2008-2010, Mark worked for 2 different companies as an Internet Marketing Specialist, which limited his ability to contribute regular content to the blog. However in 2010, he dedicated to take the blog from just a hobby, to an actual brand and authority in the space. From 2010 through today, he has not only added regular contributions to the blog, but has brought on a number of expert marketing bloggers on board to contributor their knowledge and expertise. He also invested into turning the blog into a professional designed blog, that has gotten a number of awards for its blog design. Also in 2010, StayOnSearch added the 10 Week Internet Marketing Course as a free course that anyone can sign-up and download. This course has been downloaded thousands of times and helped marketers all over the world with their IM strategies and campaigns. He also launched a whitepaper called “The Secrets to Building Relationships Online” that helps marketers create meaningful and long lasting professional relationships online. Currently, StayOnSearch has over 1,500 RSS subscribers and drives over 30,000+ monthly unique visitors to the blog. StayOnSearch has become a leading blog in the space, which has led to high demand for guest blog inquiries (which they accept) and advertising requests. Mark is the creator of StayOnSearch and has been a full-time Internet Marketer for over 5 years. During his 5 years as an IM, he has worked for 2 Internet Marketing companies, where he has managed hundreds of marketing campaigns that range from SEO, PPC, Social Media, E-mail Marketing, and Affiliate Marketing. In 2010, Mark decided to go off on his own, starting his own Internet Marketing company, called Search Creatively which is based in Raleigh, North Carolina. During Mark’s free time, he loves watching sports, traveling , and spending time with his wife, daughter and two dogs.